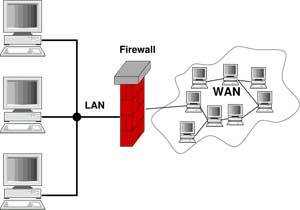 Local area networks and wide area networks are essentially the same in many aspects. They only differ in the area that is covered by the network. LANs are networks that are limited to a small geographic location. The computers connected to the network could be in a single room, a few rooms, or spread out in an entire building. WANs, on the other hand, cover great distances and are not limited to a single location. The biggest and most popular example of a WAN is the internet, which spans the whole globe and has millions of computers connected to it. LANs are very common nowadays, it is commonplace in a work environment and even at home. It is necessary to implement a local area network in order to connect multiple computers to the internet using a single DSL line. With regards to speed, LAN usually operates at much higher rates compared to WAN. This is largely due to the proximity of the computers and the lack of congestion in most cases. It is common to experience up to 80 or 90 mbps in a LAN while achieving 10 to 20mbps is already a great achievement for WAN. Security wise, LAN can be more secure due to the fact that all the computers are within a specific area and are physically easier to secure. The data on a wide area network needs to pass across public phone lines in order to reach its intended destination. The data is then vulnerable to attack by anyone with the right skills to penetrate your network. Unlike LAN, there is just no physical way of securing it, which is why electronic features are the only defense structure in place. Cost also varies greatly between the two. Deploying a LAN is relatively much easier and cheaper than a WAN. It wouldn’t require more than the cables, some switches, and optionally, routers to those who want to connect to the internet. With WAN, the long distances that the data travels would need miles and miles of cabling, or in some cases satellites. Signal deterioration is also a very real problem for WANs, that’s why repeaters are used at intervals to amplify or rebuild the original signal. 1. LAN covers a small area while WAN covers a significantly larger area. 2. LAN speeds are also significantly faster than WAN. 3. LAN is more secure than WAN. 4. WAN is much more expensive to implement than LAN. Ben Joan. "Difference Between LAN and WAN." DifferenceBetween.net. September 15, 2009 < http://www.differencebetween.net/technology/difference-between-lan-and-wan/ >.